ContenO has the technical expertise to build your fully integrated bottling line from PET bottle blowing till palletizing. For turnkey projects, the ContenO team can engineer, supply and install complete PET bottling lines, for all liquids suited for PET bottles. We start from our OPTIMA units and build the right equipment further down the line. 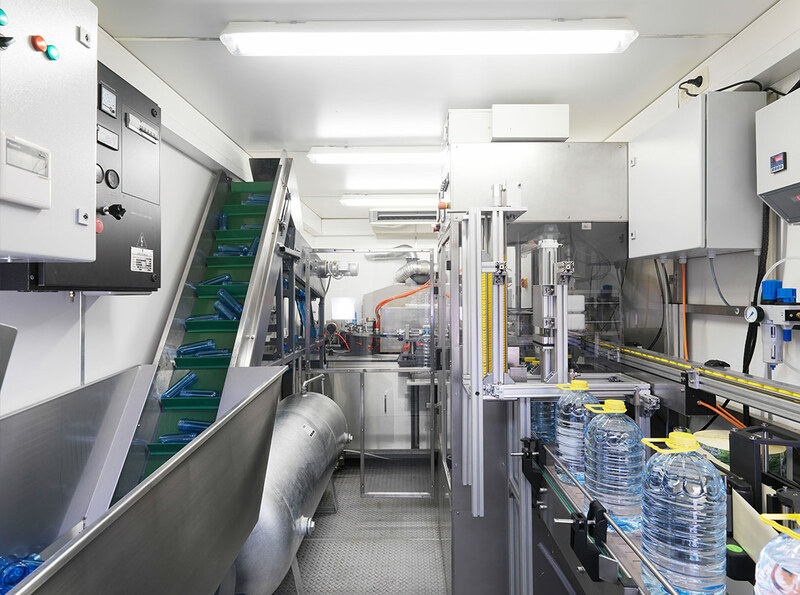 The above bottling line can be built inside a 40ft sea-container, equipped with utilities, such as compressor, dryer and chiller. We can equip it with sprinkler installation and remote control via internet. As in a real factory.